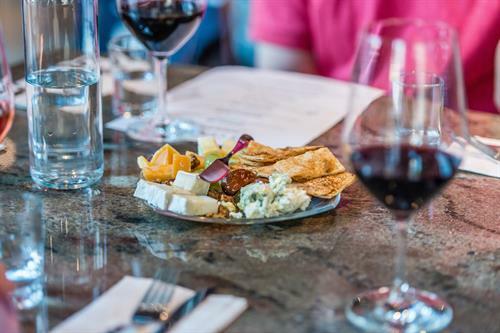 45 Central Wine Bar is the place to sip, savor and socialize while in Seaside, Fla. Award-winning chef and owner, Jim Shirley, has carefully chosen a unique selection of hard-to-find specialty wines that pair wonderfully with our seasonal and regional plates of fresh, local ingredients. The setting is a sophisticated oasis where you are invited to mix, mingle or quietly relax with a glass of great wine and a few small plates — perfect for a night of reconnecting, a first date or a girl's night out. Lunch, dinner, and a limited late-night menu available. Many of our exclusive vintages are sold by the glass using Coravin Wine technology. This revolutionary system ensures freshness and pours without corking the bottle. All wines are available for purchase to take home.